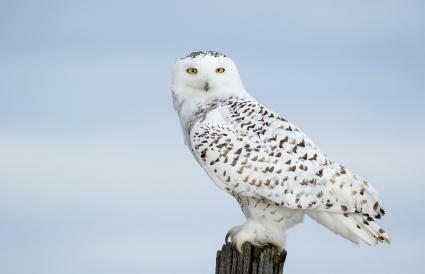 The meaning of an owl as your spirit animal in Native American lore can depend on the clan. The owl is a helper and guide for some clans. Other clans view the owl as a dark supernatural entity sent as a bad omen or warning. Some clans believe the owl is a neutral spirit messenger. Most owls are nocturnal, adding another layer of darkness to their uncanny ability to maneuver and see in the dark. The owl advises you to see beyond the surface of life and see the tiny details of the forest below you. If you have an owl spirit animal as one of your totem animals, you can call upon this winged night eagle to help you see what is hidden in the darkness. A totem owl helps you open up to latent psychic gifts, such as clairvoyance. The owl looks to the future, never the past. The owl totem guides you to move forward in life and focus only on the present and what lies ahead. The owl asks you to assess your life as though you were perched on a branch as an observer. When you can view yourself with detachment, the owl has three specific characteristics to gift you. There are common characteristics found in the owl spirit animal, such as intuition. This ability grants the owl an extraordinary ability to see the human condition as well as the motivations of spirit actively working in a person's life. This ability is transferred to those with owl guides and totems. One of the most valuable insights an intuitive can have is the ability to discern what is true and what is false. 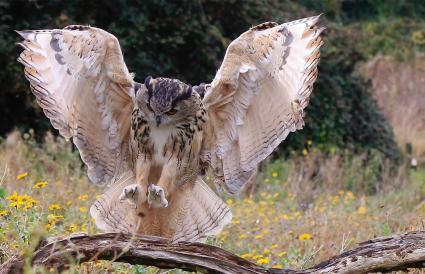 The owl energy gifts this valuable ability when it grants second-sight. With discernment, the gifted can see past the masks people wear to disguise their core of being, aka the soul. The saying wise as an owl is based on the tradition of owl spirit and owl medicine. The owl's intuition and discernment open the gateway to great wisdom. The owl has an aura of timelessness and knows the hour of death as well as the times of transition and change. There are a few specific attributes assigned to different owls. 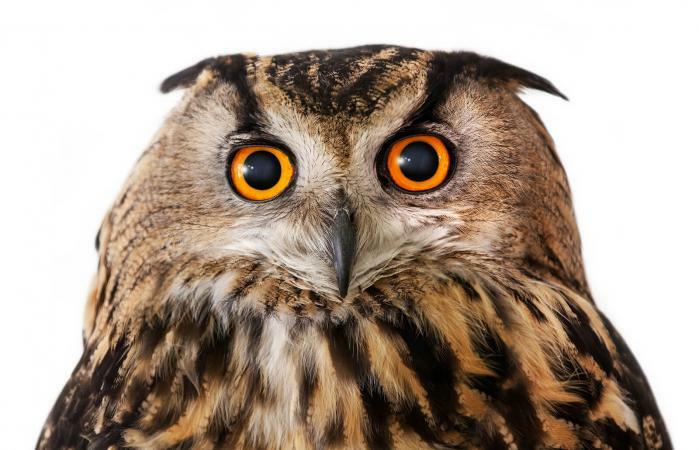 This laser focus can be helpful in understanding the meaning of an owl as your spirit animal. The spine-tingling screech of a Great Horned Owl is viewed as a dire warning of a sudden death. This isn't an accidental death, but a death, such as from murder. The Great Horned Owl tufts of feathers about its ears create a daunting illusion of horns, a physical attribute viewed as a powerful connection to the underworld. Screech Owls, like the Great Horned Owl, have these same ear tufts of feathers. In addition, the Screech Owl can be gray or as some Eastern species that are reddish-brown with dark streaks and intricate color patterns. The sound of the Screech Owl is believed a trumpeter of death. Hoot owl and Barred owl are associated with magic, specifically magic connected to the moon cycles. A couple of tribes had Hoot Owl Clans in the past and considered them positive forces. If you see an owl in the day or night, in a vision, dream or during meditation, it may be sending you a powerful message. The message given to you by a baby owl is to be yourself. You need to give yourself time and space to explore the depths of who you are and what you want in life. It is time to allow the inner you to grow, sprout wings and fly to new heights. If an owl is active during the day, flies over you or calls out to you, it's time to take stock of what is going on in your life. If you're on the road to self-destruction, heed the owl's warning that death awaits you at the end of that path. If you're having issues with someone and can't quite decide if they are being honest with you, the owl is warning you that perhaps they are lying. Shamans and medicine men often believed their powers came from the owl. Dark Witches, as well as bad shamans, are believed to shapeshift into owls to sojourn at night undetected and cast evil spells. Owl staring at you imparts wisdom. A white owl represents innocence and future fun. A silent owl is keeping a secret from you. A black owl is a harbinger of disease or death. A flying owl is heralding your success. A talking owl wants to reveal a secret to you. It depends on which philosophy you opt to follow when it comes to the meaning of an owl spirit animal. You can gain much from emulating the wisdom and silence of this spirit animal.